Whenever the Roman Catholic Church chooses a new Pope, one essential element of the drama is the watch over the chimney in the building where the voting takes place. As cardinals’ ballots are burned after each round (to preserve anonymity), chemicals are added to make the smoke either black (signifying an unsuccessful vote) or white (signalling selection of a new Pope). 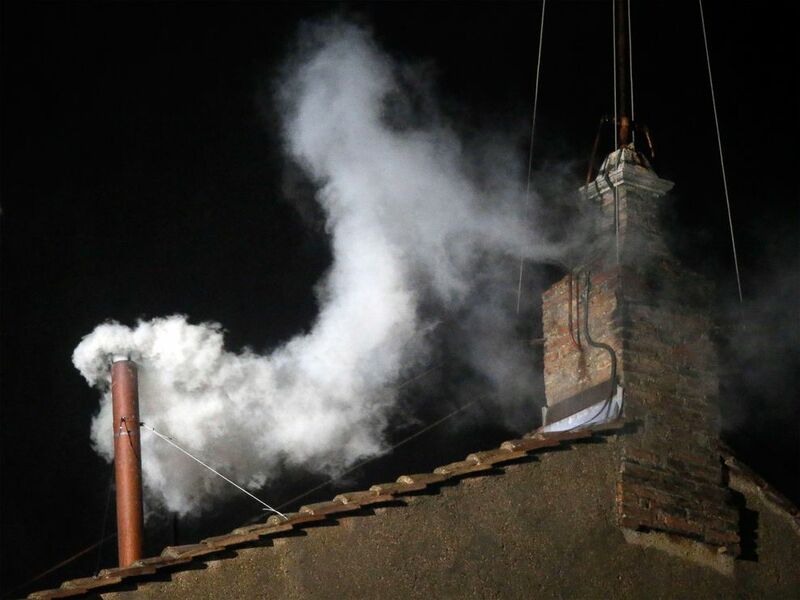 After the white smoke appears, church members and the media await the announcement “Habemus Papam” (“We have a pope”)! That announcement usually sets off celebration as well as seemingly endless speculation about what the new pontiff will mean for the Church and the world at large. I had a similar feeling earlier this week when I heard the news that the Senate had confirmed three members of the U.S. Election Assistance Commission. There, the white smoke came in the form of an announcement that the nominations had been approved by unanimous consent. Now, for the first time in years, the EAC has a quorum of three Commissioners (if not yet a full complement of four) and can get back to work on a wide range of issues. Some will be controversial; I’d be surprised if the new Commissioners weren’t asked to formally weigh in on the ongoing controversy about state laws (like in Arizona and Kansas) seeking proof of citizenship from voters using the federal registration form. Given that it takes three votes to do anything at the EAC, I’d be surprised if such requests were approved, but at least the EAC can be put on record as refusing to approve proof of citizenship versus being unable to act. What, if any, effect this has on the ongoing litigation in the 10th Circuit remains to be seen. The real excitement in the field relates to the areas where it is either very likely that the EAC can get three votes or the simple fact that a quorum makes other activity possible. Federal voting system standards have been languishing without Commissioners; presumably those can move. The advisory committees that assist the EAC with reviewing the standards haven’t been able to meet without a functioning EAC; that work can once again move forward. Of course, there is still tremendous uncertainty about the EAC’s future. Despite confirmation of the new Commissioners, there is still skepticism on Capitol Hill (especially among GOP members) about whether the agency is even necessary. Navigating those concerns will be a major challenge for the new agency. There will also be the need to re-establish the EAC’s presence in a field that has gotten used to its absence. Still, there is reason for celebration in the “white smoke” that emerged from the Senate this week. Best wishes and congratulations to Christy McCormick, Matt Masterson and Tom Hicks (especially Tom, who waited MORE THAN FOUR YEARS to be confirmed) – election geeks everywhere are anxious to see what happens now that habemus EAC! Be the first to comment on "Habemus EAC!"